British office furniture brand, Boss Design is catering for architects tasked with designing for traditional and a variety of flexible office layouts, with its new Atom collection. The collection, designed by Simon Pengelly, is available in seating, tables and desks and includes a vast choice of components which can be configured in endless ways to suit any office layout. 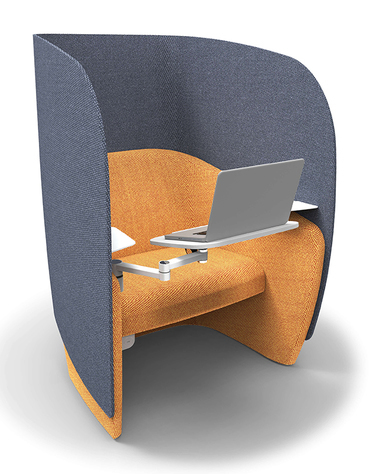 One of our favourites is the 'Mango' personal work booth which is described as a new personal workspace solution that has been created with headspace in mind. Striking the perfect balance between privacy and ergonomics, Mango allows the user to comfortably escape distractions for extended periods of time without the need to leave the room. 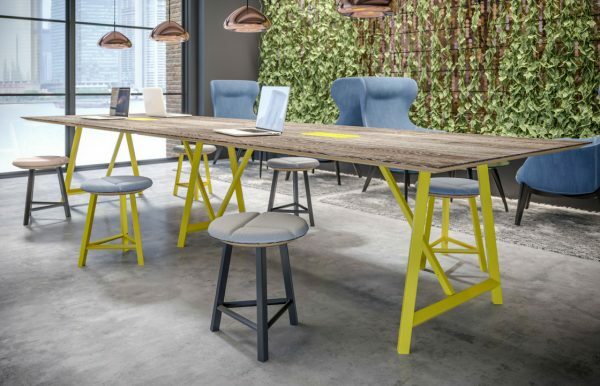 Bringing the outside in and introducing nature and natural elements into the workplace is a big trend in workplace design, which is why we love this new social space table, Relic from Frovi, which has a genuine oak antique-character SAWN top. 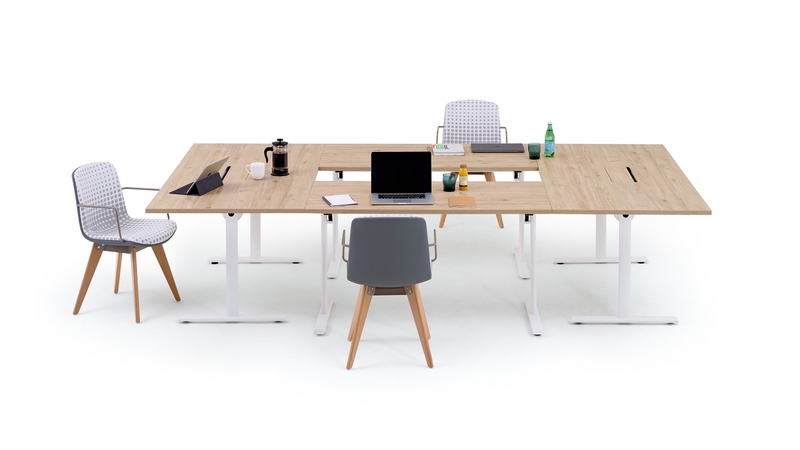 With invisible cable management which leave your tables free of any trailing cables, it’s available in long lengths and double widths, making it perfect for meetings and collaborative working. 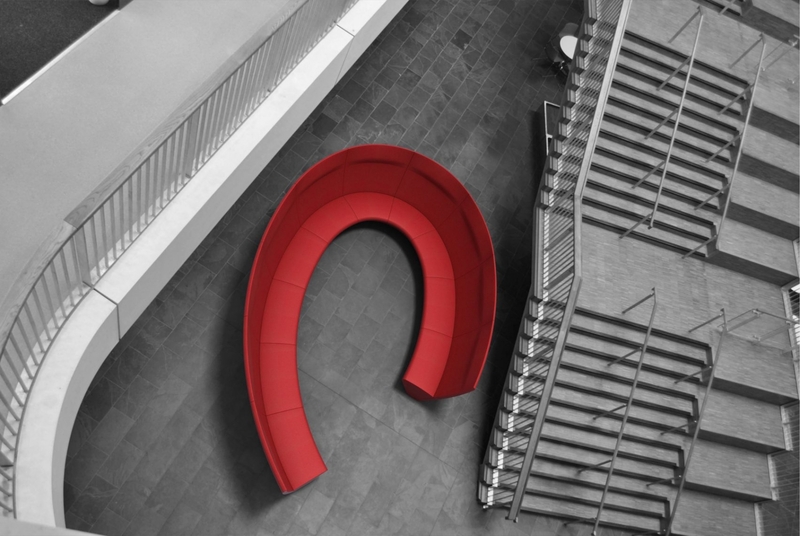 Frovi’s new products also showed a range of alternative materials not normally used to create stunning furniture solutions. The new Convo collection of tables offer a clever off-centre tilt axis which means they can accommodate much larger tops. 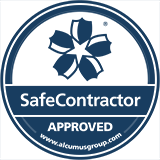 They’re available in a choice of depths and shapes and have fully integrated power and data cable management and low profile concealed castors making them fully portable. We love how the Convo’s table top can be flipped for easy storage or private working. The biggest table sits 12 people comfortably and remains incredibly stable and lightweight.